We are a leading Manufacturer of long wave diathermy equipment from Chennai, India. We are pleased to offer our patrons a quality range of Long Wave Diathermy Equipment known for its length, its high efficiency and user-friendly behavior. Our products are manufactured under the strict vigil our experts and skilled group of professionals. 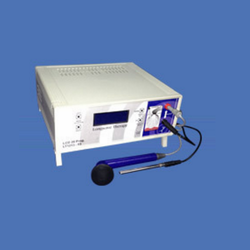 Looking for Longwave Diathermy ?